Raisins? 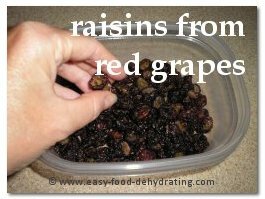 By Dehydrating grapes you make raisins! You'll find they taste better than boxed ... and plump up more than store-bought raisins too. As you know they make snacking easy – whether you're at home or are backpacking in the great outdoors! Also they're great nutrition for kids ... Add grapes to fruit roll-ups too and for added sweetness to smoothies! Raisins are also great in breads and in your breakfast cereal. Grapes Contain Omega-3 and Omega-6 Fatty Acids! Did you know that grapes have been dried for thousands of years and have many hidden health benefits? Grapes are a great source of vitamins A, C and K before they become raisins BUT when they ARE raisins, they have more Choline, Niacin, Folate, and Betaine, with higher trace amounts of Thiamin, and Riboflavin! In the mineral department, raisins beat grapes hands down in Potassium, Calcium, Magnesium, and Fluoride. 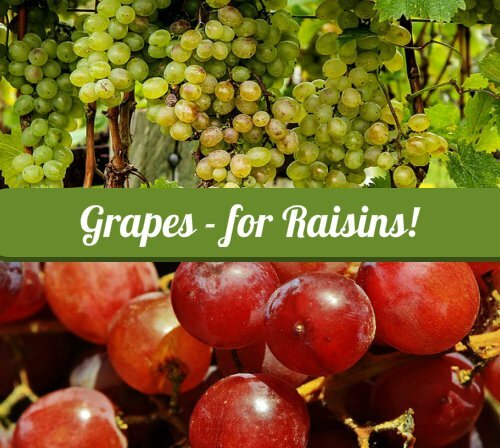 Both grapes and raisins contain Omega-3 and Omega-6 fatty acids. I went searching for tips on Healthline.com to see how grapes help us. Read top 12 tips on health benefits of grapes. 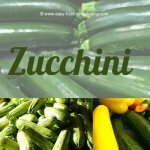 Check out how to dehydrate ALL of our fruits here. Coming up, I'll tell you more about cutting them in half after you have washed and removed the stems – or you may leave whole if desired. If you cut them in half, place the grapes on the dehydrator sheet with the cut side facing up, so that the grape juice doesn't drip down to the trays below! (If you blanch the grapes first, see step two, below, you can save a ton of time in the dehydrator). 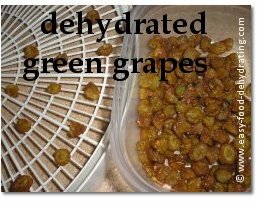 Let's get busy dehydrating grapes to make fabulous raisins! 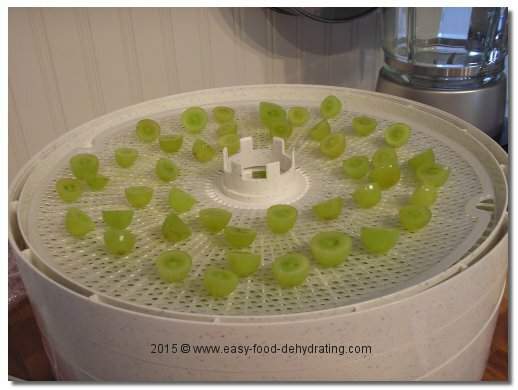 Cut the grapes in half and place on your food dehydrator sheets, cut-side up to prevent drips on the lower trays! The raisins, er, dehydrated grapes will feel pliable when sufficiently dried. Remember to rotate your food dehydrator trays, for even drying. Reminder: If drying your grapes whole, the drying time jumps to 10 – 36 hours so please bear that in mind. I highly recommend cutting the grapes in half! I did try the 'whole' method, but the trays got really sticky ... and as stated, they took far longer to dehydrate ... so cutting the grapes in half won out for me!For the green grapes, I decided to try just washing and slicing the grapes in half, without blanching first. They worked a treat!